Very happy about this interview I did in Indy Week. 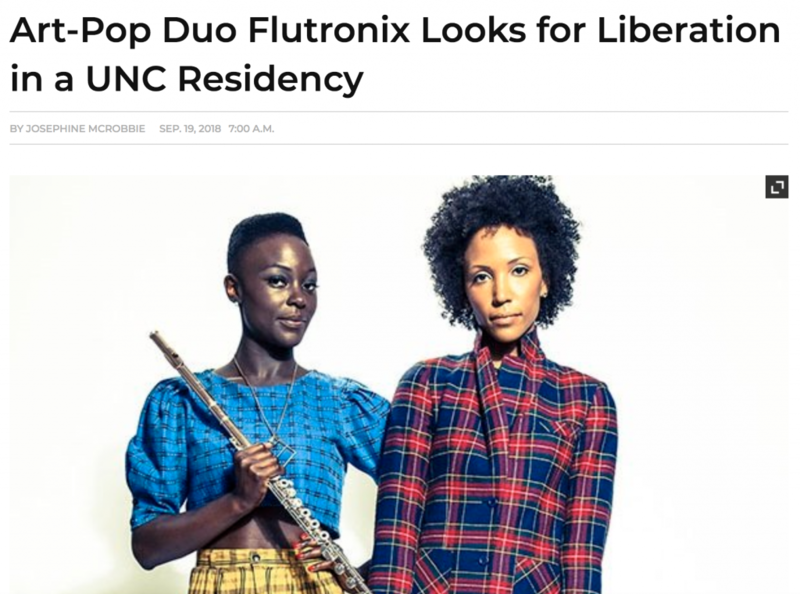 It’s a thorough profile of Flutronix‘s latest project, Discourse, commissioned by Carolina Performing Arts, and highlights our commitment to using art as a way to connect with people and communities in order to process the challenging times we’re living in. “I really do feel that artists have a way of tapping into what is in people’s hearts and on their minds, and discovering ways for that to be processed,” says Joachim. “It is something people struggle with: how to process what we’re living while we’re living it.” Check out the full article and feel free to reach out on social media to let me know how you’re making your way through these times. © Copyright Nathalie Joachim 2016.